Leathers can be created in a variety of browns, greens and burgundys, with "fantasy" leathers in blue, as well. 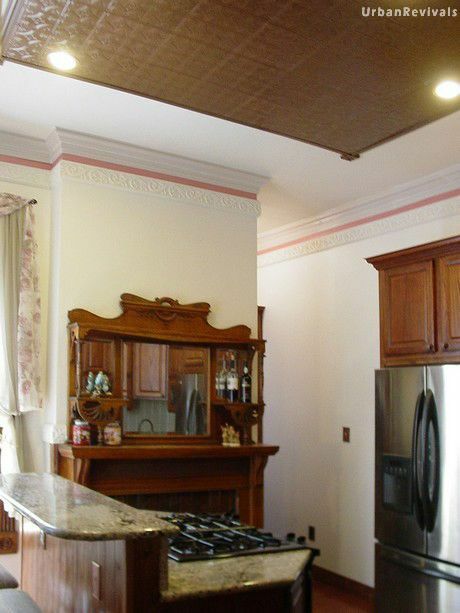 It is ideal for library rooms, game rooms, sitting rooms, and backsplashes. Craving the warm Victorian look of leather with the durability of modern finishes? 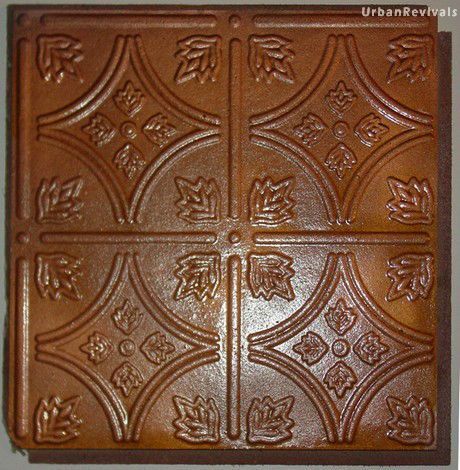 Consider our faux leather ceiling tiles, which has a warm brown base coating with a copper-red glaze. This mottled glaze brings the look of warm leather to your parlor or library. Ideal for ceilings and walls. Avoid using in areas of high humidity. Leather can be simulated by simply using brown paint hues, but the look of real leather requires more variation in color. And, in fact, it is best if the sheen is more subdued. Matte and low-sheen sealing coats are available. 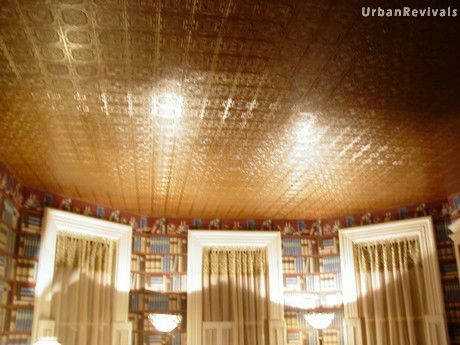 Spot lighting is particularly effective when used in darker ceilings. 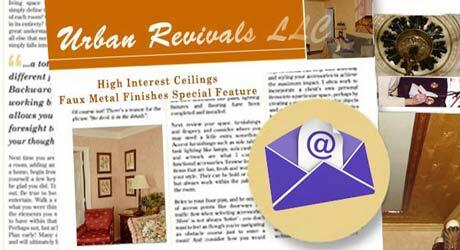 This newsletter focuses on new videos, new faux finishes, and free step-by-step procedures for how to create them. We'll also feature links to other artisans, new product releases, and links to e-books intended for do-it-yourselfers.